Whoosh! That was September - gone in a blur. I had quite a lot of unplanned time away again, which made it difficult to produce any kind of content at all. But I managed it somehow, despite having a problem with a broken microphone. I think my favourite video of the month was Findus Crispy Pancakes. There's a couple of exciting things happening in the background that should generate a big increase in traffic and followers. I can't name names at this point, but Agreements are being signed and I'll be able to tell you next month. One thing is that a major UK-based social media content producer/aggregator wants to licence some of my videos to share on their online properties. 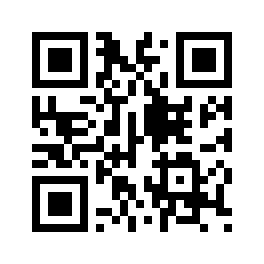 The other is a Californian OTT/TVE provider wants to licence material for their cooking channel/app. In this case they would be paying rates that are significantly higher than YouTube's, and there is the possibility of them funding exclusive content from me further down the line. We shall see. And speaking of YouTube: 4-5 months ago some of their big advertisers woke up to the fact that their ads could be popping up on nasty videos promoting terrorists and nutjobs in general, so they withdrew their ads and forced YT to come up with a method to identify unsuitable videos and prevent ads being shown on them. YT produced a sledgehammer that misidentified a lot of videos as unsuitable for advertising - including things like hunting/shooting/fishing, primary butchery, tool maintenance (how to sharpen blades etc) and many other topics. So I wasn't entirely surprised when The Algorithm visited my channel and declared How to Pluck and Clean a Goose to be unsuitable for advertisers. I can't argue with that, it is pretty gruesome. But banning Pilao Rice? Mystifying, but not the end of the world - it's an old, low-quality, unloved and unwatched thing that I have since deleted. But I was bemused that they hit my latest video, Currywurst. Presumably the algo sees some sexual connotation because it has a dirty mind, so I requested a manual review and it was declared safe after a couple of hours. Ho hum, we live in interesting times. Borscht, or borsch, is claimed as their own by Russia, Poland, Belarus, Lithuania and Ashkenazi Jews, but it's likely that it originated in the Ukraine. It's a hearty soup built around root vegetables and beetroot. 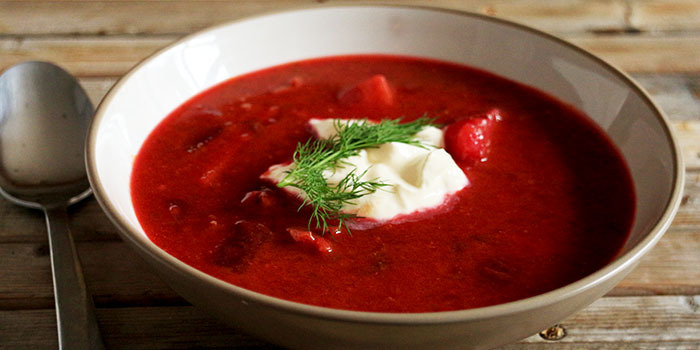 Borscht can contain beef or pork, or just vegetables. It's easy to make and delicious. I love a good sausage, me. And these above all - the key to it is, I think, rusk, and I've included the recipe for that - it's very easy and gives much juicier results than using breadcrumbs. One of the problems of baking a loaf without a tin is that it usually ends up quite flat. This traditional loaf solves that problem by basically being two loaves stacked on top of each other. However, it won't fit in a toaster and is rarely seen these days. It's almost impossible to talk about 'crispy pancakes' without adding the word 'Findus' at the start. I'm pretty sure Findus invented them, and they were a great favourite with kids. 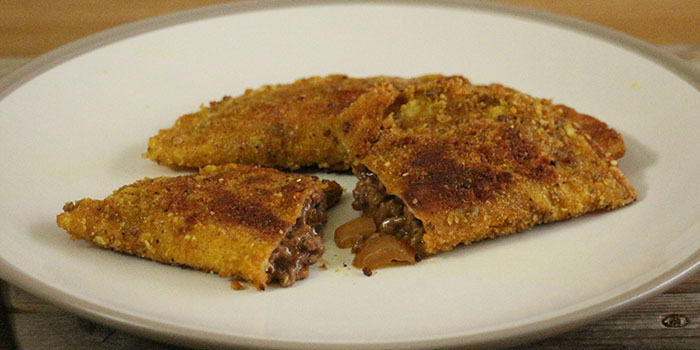 There were chicken ones, cheesy ones and fishy ones, but now I'm recreating the minced beef and onion crispy pancake. This traditional British dessert is a brilliant way to use up stale bread. 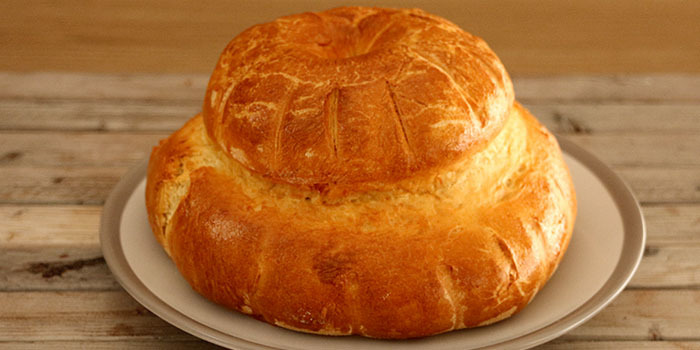 With the addition of dried fruit and custard, the bread is transformed into something magical. 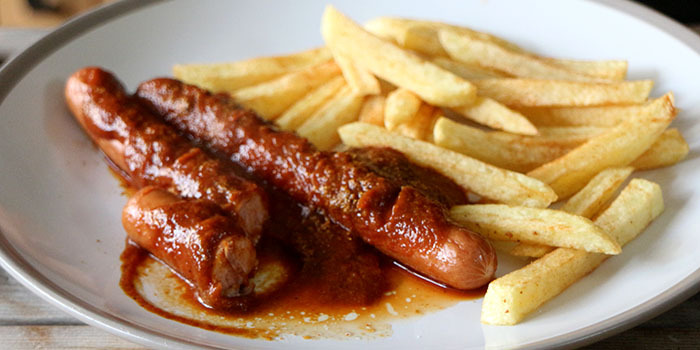 Germany isn't renowned for the quality of its food, but currywurst is slowly but surely taking over the world. It's all about the sauce - a tomato-based thing, frequently involving ketchup, some spices and, always, mild curry powder. 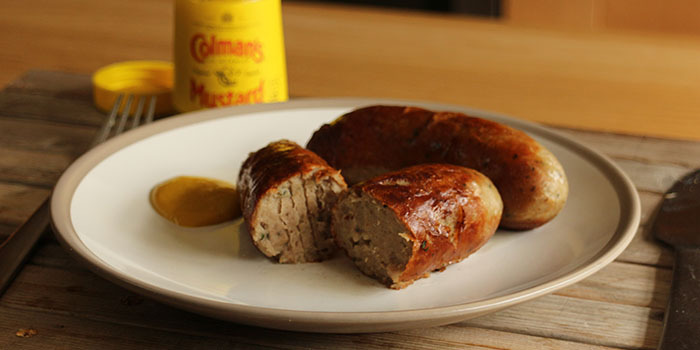 The sauce is slathered over hot German sausage such as Bratwurst or Bockwurst, and served with french fries and a sprinkling of curry powder. This is proper drunk food. This is one of the best YouTube videos I've ever watched! LONG EGG. If he has never tasted it before how does he know it's correct? Me: He thinks that's the wrong kind of question. There is so much variation in recipes for this sauce, nobody can say which is 'correct'. He says it tasted great, and that's good enough for him. Me: No need to SHOUT! Traditional where?